The key to strong bonds between surfaces isn’t just in choosing the right adhesive; it’s also about preparing the surfaces. When you are trying to adhere metal to metal, it can be tricky. Here is our quick guide to surface preparation to help you out. For smaller projects, you may be able to carry out abrasion with sandpaper or an emery cloth. If you are working at a larger scale, sandblasting or wire brushing might be more appropriate. The purpose of abrasion is to remove any dirt or oxide that has attached itself to the surface and might interfere with the bond. 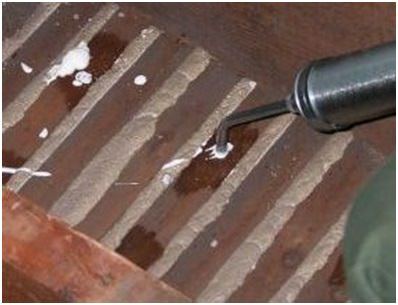 Mechanical blasting techniques are more effective than manual ones, but whichever technique is employed, it is important to follow on with degreasing to ensure that the surfaces are as clean as possible prior to applying the metal bonding adhesive.